Can You & Your Gang Finish This 34 Inch Pizza? Know Where To Accept This Challenge! Delhi has it all. Largest parathas, huge burgers, mini pancakes, mini samosas, fusion food, and so much more. Here’s another feather in the cap! Delhi’s largest pizza! About time right? If you and your gang are a bunch of pizza lovers and would readily take up a challenge, then this place is for you! 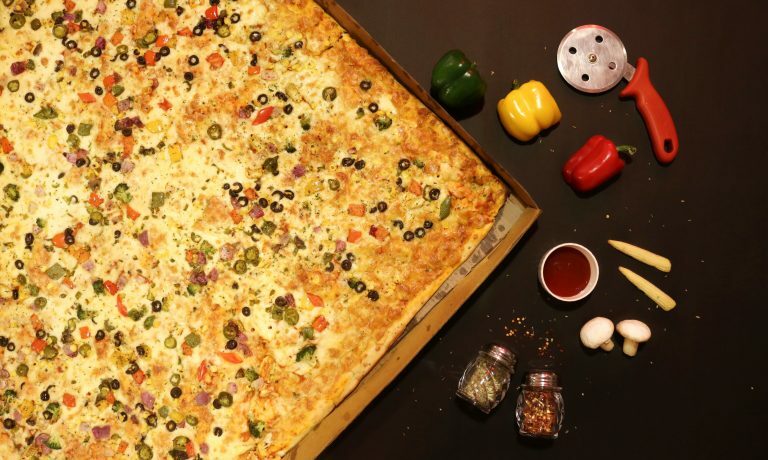 The American Connection is serving Delhi’s largest pizza and it’s 34 inches big! 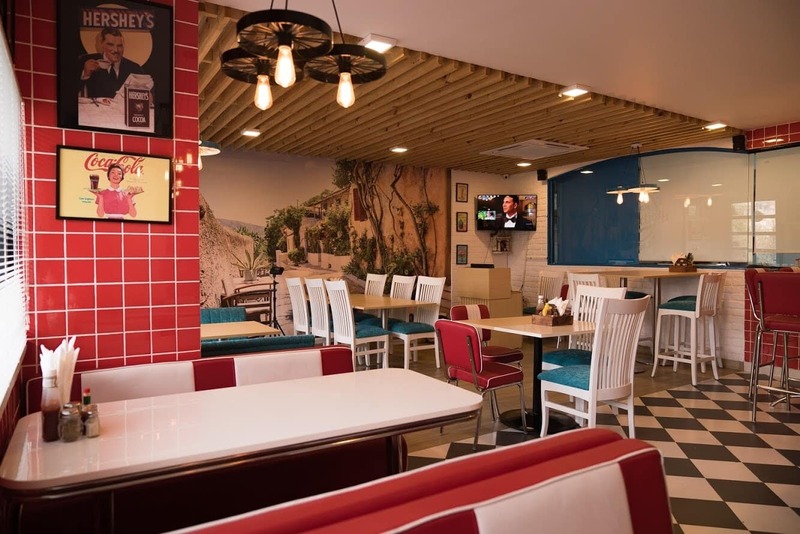 The American Connection in Kalkaji has a chilled out vibe with funky frames, bright red and white interiors and black and white checkered tiles on the floor. It is a perfect hangout spot. Their cheese lava burger recently ‘messed’ with our hearts, and they even have freak shakes that are irresistible! Let’s come to the point now! The absolutely crazy part about this quaint place is that they serve a giant pizza that comes in 4 topping options! American Connection Supreme Veg, Four Cheese which is filled with four layers of cheese, Chicken Alfredo and American Connection Special that includes pepperoni, bacon, and sausages. Legends have it that it will take at least 15 people to completely slaughter it! The bottom line is that if you think you can take lesser people and finish this monster of a dish, then prove us wrong! You can also customize this to your liking. So go ahead, create your own pizza and binge on with your friends. India’s First Literature Festival For Children Is Happening In Delhi!